You’ve got a question? We’ve got the answer! On this page you will find frequently asked questions (and answers) about sealing and business opportunities. Is your question not listed below? Please contact us so we can help you. More information about this concept? On this website we hope to inform you as well as possible. 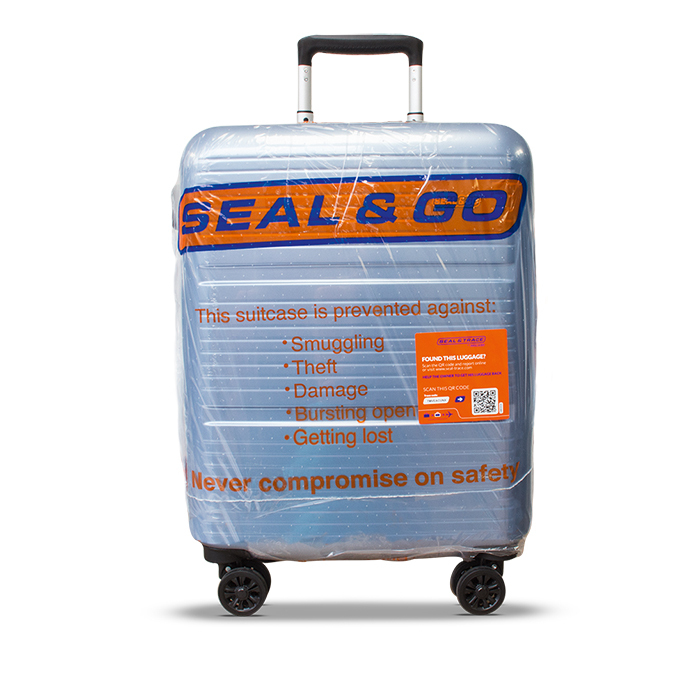 Would you like more information about the Seal & Go concept? Please don’t hesitate to contact us. Is it possible to operate as a licensed business partner? Yes, it is possible to operate as a licensed business partner. Our licensed business partners have the benefit of our newest innovations and updates. Contact us to talk about the opportunities. It is possible to operate as a licensed business partner. Other ways to cooperate are negotiable. We can discuss all possibilities. Let’s talk! How do I get Seal & Go on my airport? Seal & Go is still expanding and always looking for business opportunities. Please contact us to talk about what we can do for you. How long does the sealing of baggage take? 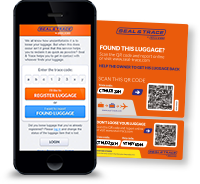 Sealing of baggage takes less than one minute. No reservation necessary. Adding just one layer of very strong, transparent foil around the baggage exterior, 'shrink-sealing' is a unique method. Sealing ensures a high level of security and protection, and takes only one minute. The innovative Seal & Go sealing technology is world-leading. Our state-of-the-art technology meets the airports high standards and helps to improve different processes in the airport industry. Please contact us so we can inform you.